How do we deal with pain and suffering, both in our own lives and in the world around us? 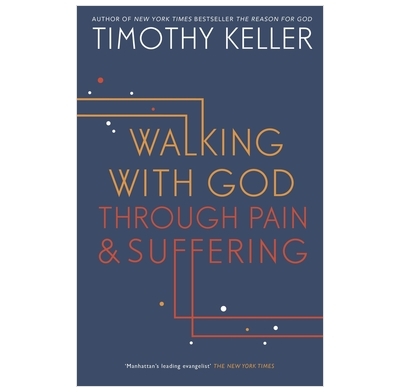 In this anticipated book, Timothy Keller—whose trademark style addresses both religious and secular readers—explores one of the most difficult questions in life: Why is there so much pain and suffering in the world? And how do we handle it in a way that won’t destroy us, but could actually make us stronger and wiser? Many books attempt to explain evil and suffering intellectually, while others offer mere inspirational stories. In this book, Keller attempts to unify the complex questions and experiences related to suffering. He explores the philosophical problem of suffering, then the rich biblical teaching on the subject, and finally the actual experience of dealing with suffering in the most practical terms. This will be an indispensable resource to everyone who wants to prepare themselves or others to face the inevitable prospect of pain and suffering. I bought this book, along with others on the same subject, primarily to consider the question of suffering from an apologetics perspective, to assess the scope of the Christian response to the questions that suffering presents for those who believe in a loving God. As such, I was approaching the matter as a philosophical problem to be explained. The book did not disappoint. Although it does not address such issues immediately, it is very thorough in tackling them. However, I was most impressed by the pastoral approach that the author takes and it is here that the greatest impact of the book lies. So much so that I bought a copy for a friend who is facing a potentially terminal illness as an encouragement and it was very well received. The real-life accounts of ordinary people's struggle with suffering that bring many of the chapters to a conclusion are heartening and do much to prevent this from being a cold, detached intellectual study. The book is written with empathy and communicates with great clarity. It is eminently accessible.